2 - 2 units $17.00 ea. 3 + units $16.00 ea. 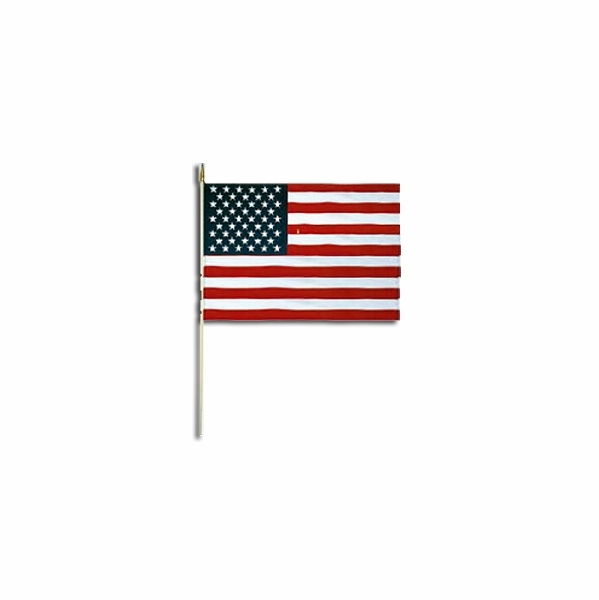 These 12” x 18” American Flag stick flags with a 30" wooden staff and gold spear are the traditional choice for giveaways at parades and other festive events. 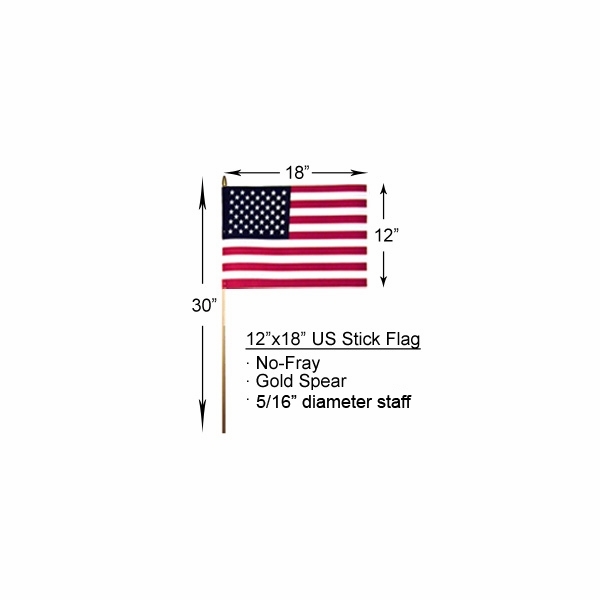 This American stick flag has special no-fray cotton which does not require hemming. Also purchased as a graveside marker or memorial. Comes in a 12-pack - priced as a 12-pack. Made in the USA. American Flag Magnet - 10" x 18"